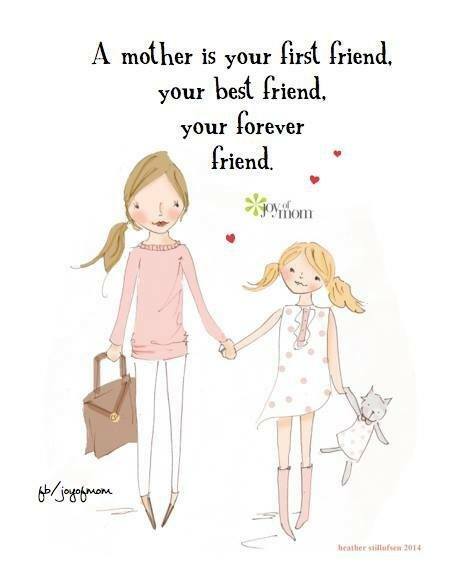 A MOTHER IS YOUR FIRST FRIEND, YOUR BEST FRIEND, YOUR FOREVE - ProudMummy.com the Web's Community for Mums. Not in my case 😢😢 and it really hurts me when i know she hates me..
Only a mother is able to be a mother, good or bad. Anyone can be a friend. Remember this Ellie-Mae Murphy ! That's lovely moll. You definitely know which side your bread is buttered on. A mothers love holds no bounds.